But it wouldn’t have mattered if they had read that a person with mental illness was excluded from cover since Ella had no mental illness anyway. Using her savings from working at a bakery for several years and from baby-sitting, Ella put everything she had into paying for the trip together with contributions from her mother. So, in late 2011 the $5,860 was paid in installments for the travel expenses. Part of these expenses were for travel insurance which was taken out with QBE Insurance on 8 December 2011. Christmas holidays came and everything was rosy. Ella enjoyed being away on a camping trip but after coming home she didn’t feel herself. She inexplicably became withdrawn and depressed. “I didn’t want to talk to anyone and felt sad for no particular reason,” she said later. In February, 2112, 17 year-old Ella was diagnosed with depression and put on medication. Research has shown that in each year, approximately one in every five Australians will experience a mental illness and that it is most prevalent among 18-24 year-olds. However, it’s not a life sentence and most people recover fully, especially when they receive help early. But the medication didn’t work with Ella and things only got worse. By March she was experiencing suicidal thoughts. One day teachers found Ella crying alone in the drama room at school. Ella’s mother, Linda Darragh, who is a trained nurse, took her to a psychiatrist she knew. He, in turn, arranged for Ella to be admitted to the Albert Road Clinic for two weeks. This hospital has a unit which focuses on symptom management for adolescents with a range of psychiatric conditions such as mood disturbance, anxiety disorders and psychosis. He also recommended that Ella should cancel her school excursion to New York. Ella was naturally disappointed but realised she was too ill to travel. Ella’s mother lodged a claim with QBE on Ella’s behalf in May, 2012. The claim was denied in a letter from QBE dated 17 August on the grounds of its general exclusion for mental health-related claims. This was now a triple blow for Ella. First she had missed out on the trip she was so looking forward to, and then, to lose the money she and her mother had paid for the trip was another thing. But the most devastating part for Ella was to realise that she was now branded with having experienced a mental illness. “For one of the first times, it made me feel really bad and really ashamed to have depression,” Ella told the Herald Sun newspaper. QBE not the only ones denying cover for mental illness. In a review of 35 travel insurance policies conducted by Choice, four insurers were identified that covered claims relating to mental illness. People can still function with a mental illness and the fact it’s all getting thrown in one basket, they’re not considering factors that they should. Things like mild anxiety, dementia and everything in-between — they’re not looking at whether someone can function, like they would with a physical illness. The landmark case finally came before the Victorian Civil and Administrative Tribunal (VCAT) in October 2015. QBE had tried unsuccessfully to prevent an ABC 7.30 program broadcasting about the case. The story prompted many others to come forward with similar stories and Ella’s experience was shared around the world. QBE’s stance was that because nearly half of all Australians will develop a mental illness at some stage in their lives, providing coverage for trips cancelled because of mental illness would be financially unviable for the company. But they didn’t present actuarial information to support the case. 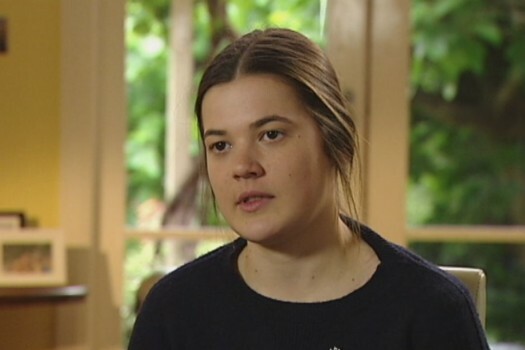 On 18 December 2015, VCAT found that QBE discriminated against 21-year-old Ella Ingram when it refused to cover the costs of her trip after she was struck down with depression. The company was ordered to pay almost $20,000 – $15,000 for hurt and humiliation and $4292 for the cost of cancelling the trip. Ella hopes her case would help remove mental illness stigma perpetuated by insurance companies refusing claims. The findings were welcomed by key organisations involved in mental health. Georgie Harman, the CEO of Beyond Blue, says Ella is a ‘poster girl’ for having the audacity and the guts to say ‘I’m not going to put up with this [situation]’. As for Ella, her plan was to at last to take her mother to New York. Ella is currently studying nursing at the University of Melbourne. Posted in can-do wisdom, Change Instigator and tagged Beyond Blue, change instigator, Ella Ingram, mental illness, travel insurance.